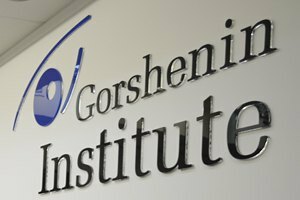 A round table conference organized by Gorshenin Institute. On 25 May (Wednesday), at 11:00 Gorshenin Institute will host a roundtable conference titled Will Ukrainians survive next increase in utility tariffs?" What is the cost of public services? Who benefits from tariff increases? What part of utility bills is spent to upgrade equipment and increase energy efficiency? What are Ukraine's commitments to increase tariffs? Is there an alternative? Is confiscation of real estate an adequate measure to combat non-payers? Should there be different rates for water and energy for households, businesses and non-profit organizations? Benefits and grants: a way out of the situation or a step toward corruption abyss? Yuriy Havrylchenko, expert, NGO Fund for Public Security. Contacts for media accreditation: (044) 230 49 62.